I sincerely appreciate this book as one of the best guides on spiritual path for those who have started their Sadhana/practice towards the Divine and also for those who aspire to progress in spiritual way. The author has presented his views and his own experiences in very simple but effective words. 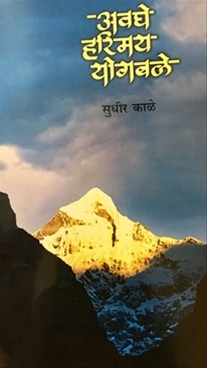 The book enlightens readers with real understanding regarding initial stages in Yoga, follow up in day-to-day life, meditation, spiritual experiences, necessity of having true Sadguru and several other aspects for which one may have doubts in mind. At the end one is fully convinced and gets clear idea about how one can achieve successful enlightenment on spiritual path while fulfilling all the responsibilities in daily life. It is indeed a joyful experience and satisfaction !! Recommended for every reader ! !